Yeh Hai Mohabbatein 18th January 2017: In the 17 january episode of YHM, Dadi gave the bangles to Alia on the lohri celebration, but she returned it to Dadi. Ishita push that Alia should keep it. Adi told Dadi that there is no hurry but dadi said she wanted to give this to Alia since a long time and they are set there marriage date soon. During the celebrations, Simi and Param stood together. Ruhi was waiting for Sohail. Adi and Alia called by Ishita’s mother for the pooja and asked them to accomplish puja together. Ananya saw all this and ask for her parents to perform the pooja together. But, Simi refused. However, Param agreed to do it for Ananya. Gaurav came in and saw Simi and Param performing pooja together. Ishita prayed to god to keep her kids away from all the problems. Ishita went to the store room of society to get something for pooja. She saw a car parked in there and a bearded man inside it. Ishita wondered who the person was there when he removed his beard. She was surprised to see Sohail geting out of the car. Pihu fell down on the Lohri celebrations and hurt her hand. Sohail talked to someone on the phone and said, “he said I would reach immediately.” Raman got inside. Sohail came to the celebration and wished Ruhi. Pihu got scared, so Raman and Ishita tried to console her and bandaged her hand. Pihu didn’t let Raman and Ishita go anywhere. Mihika cheered her and got a chocolate shake for her. Alia said to Adi that she wanted to talk to him but Adi was worried for Pihu and in despair, he said to Alia that he knew she bothered because she did not want to take the bangles. He got angry at Alia and said he will tell every one about their breakup soon. Adi left in anger. Mani told Alia to set a date for Adi & her wedding. Shagun told a lie that she knew about their breakup. Also, she listened to Alia and Adi conversation about her. Shagun appalls Alia that if she did not do so, she would tell Mani about her and Adi breakup. Ishita wanted to say something to Raman, so she woke him just then Rahman take a call from the factory. There is an accident with one of the workers he left in a hurry she decided to tell him everything about Sohail and his disguise when he returned from the factory. Check: Xiaomi Mi MIX Evo updates. 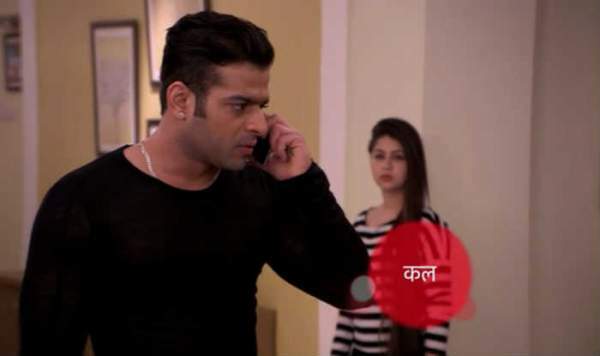 We will discuss In the next episode of Ye Hai Mohabatein what the police inspector tells Raman. Ruhi overhears all this, and she feels that she would help the cops.